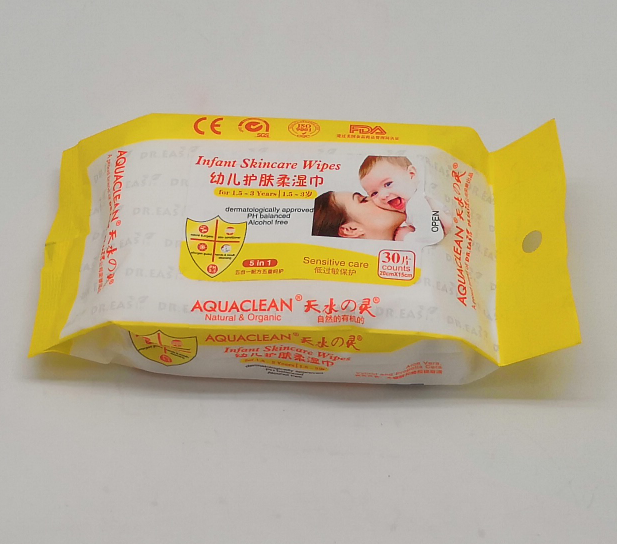 infant skincare wipes are made with a hypoallergenic formula which is PH balanced alcohol-free which helps prevent irritation and ensures they are gentle enough on baby's skin. 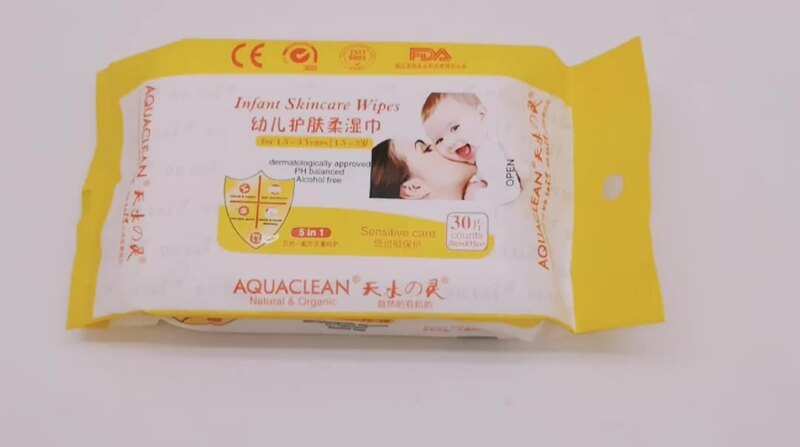 Dermatologically approved, each wipes contains aloe vera , xylitol and propolis cera , each wipes gently moisturises and cleanses the baby's skin , leaving baby feeling clean and fresh. 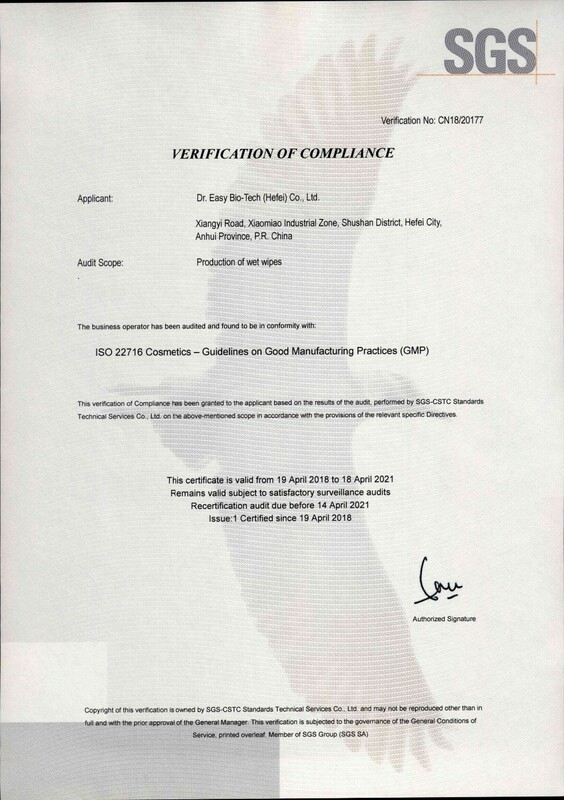 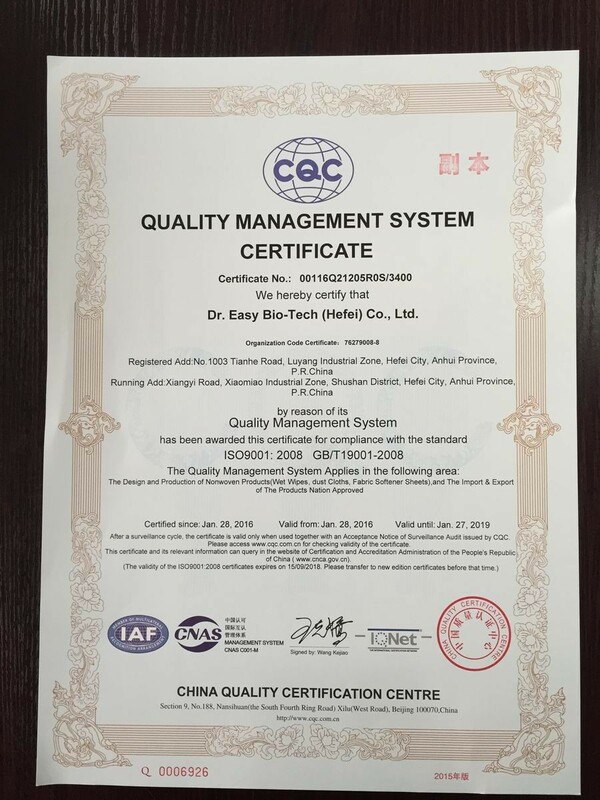 DR.EASY is a ISO 9001:2008,FDA, CE , GMP , BRC , Certified company , We maintain a fully equipped laboratory for micro-biological/bio-burden testing . 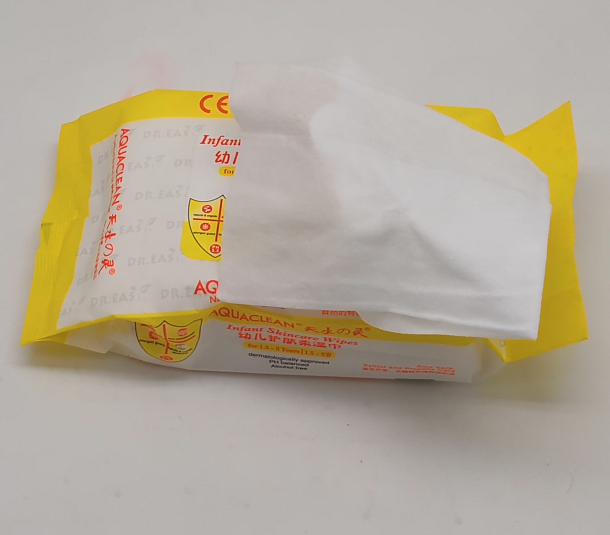 Our R&D Technological expertise can take any new product ideas from the concept stage to design of manufacturing process&equipment that can meet the most challenging requirements. 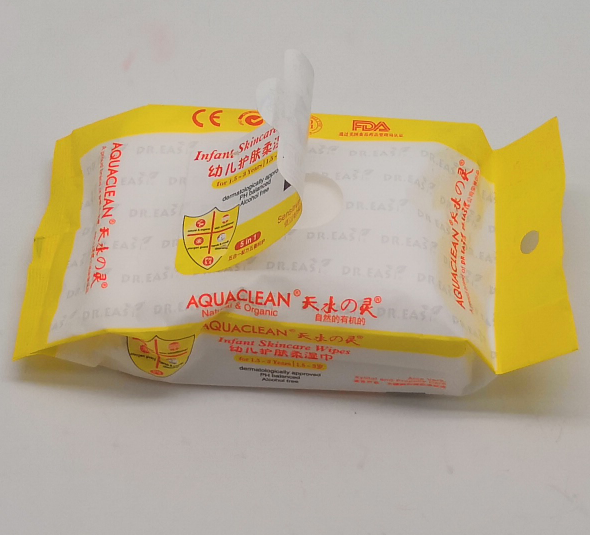 Our facility in Hefei stands as a symbol of our emphasis in quality , consistency and efficiency in providing the best vaule in wet wipes manufacturing. 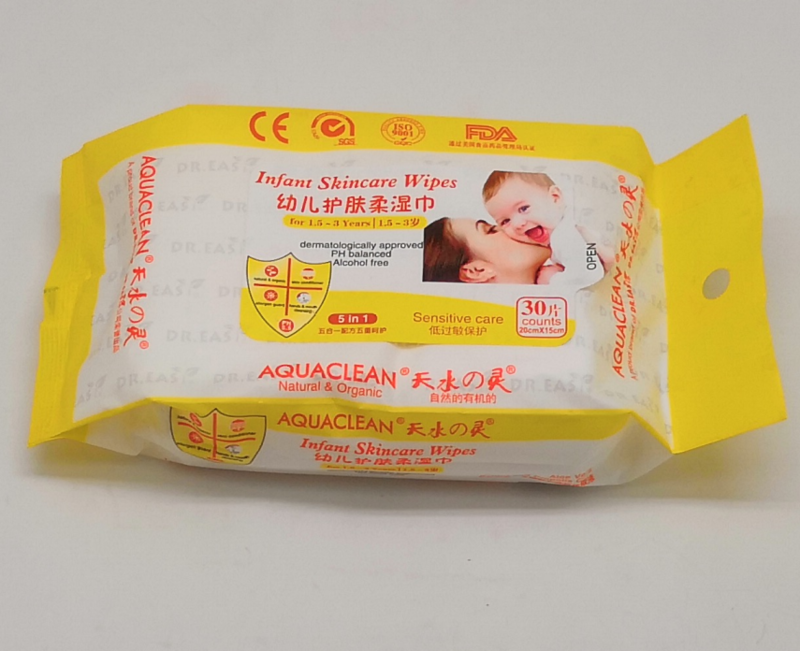 We are trying to build ourselves to be your best reliable global partner in wet wipes manufacturing in China.